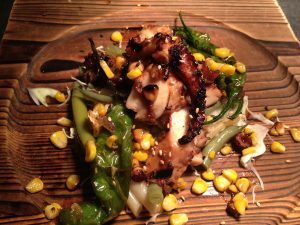 While this mysterious ocean creature of the deep has started to pop-up on menus across the country, the octopus has actually served as a staple throughout the Mediterranean and in Asia for almost a thousand years. In the Mediterranean, it has been a staple since ancient times. On the Greek islands, it’s common to see it hanging from a rope or clothesline to dry. It’s often later served grilled (hot or chilled) in salad. In Tunisia, octopus is often grilled or roasted for use in couscous, pasta or stews, while in the Spanish region of Galicia, it’s boiled in a copper pot to make polbo a feira – a local delicacy. In Japan, the octopus is equally common but prepared in many different ways. The Japanese often prepare it by with a salt rub, or kneading it with grated daikon, and then slicing the meat at different angles. In Japanese cooking, it can be found in sushi, akashiyaki or dumplings, and takoyaki. Takoyaki (or octopus-filled balls) is one of Japan’s best-known street foods. It contains a mixture of wheat-flour based batter filled with diced octopus, tempura, pickled ginger, and green onion. Braised octopus at Dragonfly of Gainesville. 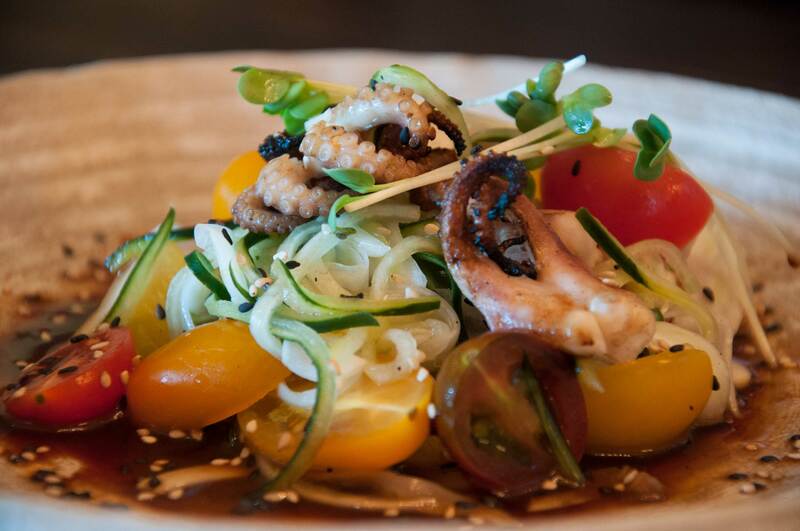 These days, it’s becoming more and more popular to include an octopus dish on your menu, yet many Americans are still intimidated by these eight-legged creatures. While the flavor is unique, it’s very light with a texture similar to that of a well-cooked lobster. It tastes great and is packed with proteins and nutrients. Like most seafood, it is lean and low in calories. 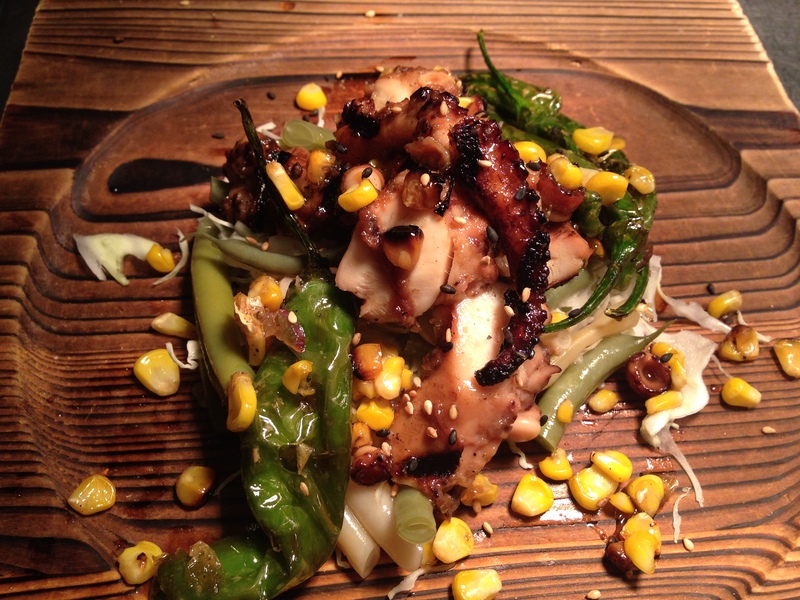 It may also surprise you to know that octopus is also an excellent source of protein! A 3-ounce serving of it contains more than 25 grams of protein. In addition to protein, it also gives your body a ton of nutrition. Just one 3-ounce serving contains more than 30 micrograms of B12, more than 510% of the recommended daily value. Taking a deeper look, it’s easy to see why octopus is a top food trend for 2017, but by the taste of it, we doubt it’s a passing fad!